Audience/Genre: Contemporary Romance, Clean Read. Publication: January 1st 2014 by Harlequin. Travis continued taking pictures while they took turns coming up with new and interesting vocations to which Travis could aspire. Summer’s favorite was Travis Lockwood, Eating Challenge Champion. There was a hot wings competition at this little place near the station she was going to make sure he entered. She was about to mention it to him when a loud clicking noise went off by her ear. Summer sat up on her elbows. Just then, water shot out of the in-ground sprinkler, hitting her with a force she couldn’t have expected. Instead of running, Summer stood in the middle of the field and laughed. Once she got used to it, the cool water felt nice. She lifted her arms and tilted her face up to the sky. She closed her eyes and spun around as if dancing in the rain like when she was little. It was her mother’s favorite thing to do. They’d strip off their socks and shoes and jump around in the wet grass while the heavens poured down. Their clothes would stick to their skin, and their hair would flatten and fall in their faces, but it was the best part of storm chasing. Summer opened her eyes to find Travis standing on the track with his camera in hand. He took one more photo of her before bringing the camera down. The old groundskeeper finally figured out how to shut the sprinklers off and the water stopped its assault. Summer locked eyes with Travis, and her heart picked up the pace. He moved toward her slowly, never breaking his stare. Summer let her gaze wander from the slightly damp T-shirt that stretched across his chest, to his narrow hips and back up to his clean-shaven, taut jawline. He stopped in front of her and placed a hand on her cheek. There was a strange uncertainty in his eyes. “Did you know that one inch of rain falling over one square mile is somewhere around 17.4 million gallons of water?” Summer asked, wishing the wet ground would open up and swallow her whole. “Why did you invite me here?” His tone had an edge to it. “Find what you love to do, so you can do it,” she admitted. It sounded almost as strange as her weather facts. She was sure the next question would be why. Why did she want to help him? His accusation was unexpected. He shoved his camera in the wet bag, then slung it over his shoulder. Summer watched as he strode away, wiping the water from her face. 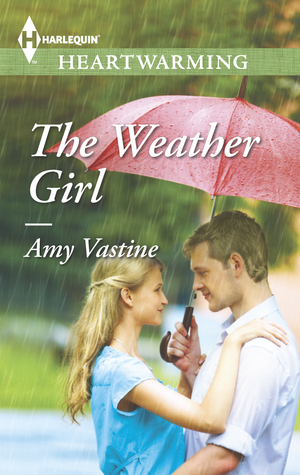 His mood changed faster than the weather around these parts, but unlike the weather, this she had never seen coming. I love the weather when it is raining lightly.